The Italian American Museum of Los Angeles unravels the centuries-long impact of a devoted people. The following piece, contributed by Marianna Gatto, appears on IAMLA. 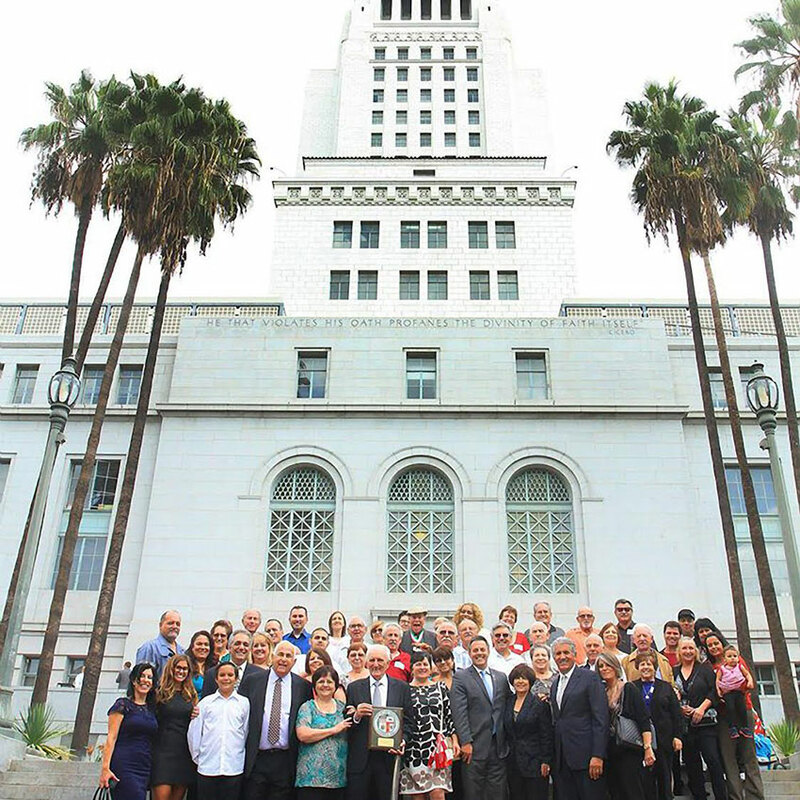 Italians and Italian Americans have played an instrumental role in the development of Los Angeles as one of the world’s greatest metropolises, yet the history of Italians in the region is largely unknown. Though Los Angeles is home to the nation’s fifth-largest Italian population today, and the Italian presence in the American West predates the nation’s founding, seldom is the city included in dialogs surrounding contemporary or historic Italian American communities. An examination of the region’s Italian roots reveals both the complexity of the Italian Diaspora and the exceptionally diverse fabric of Southern California’s history. Long before an Italian community was established in Southern California, Italians influenced the Western United States and stimulated international interest in region. 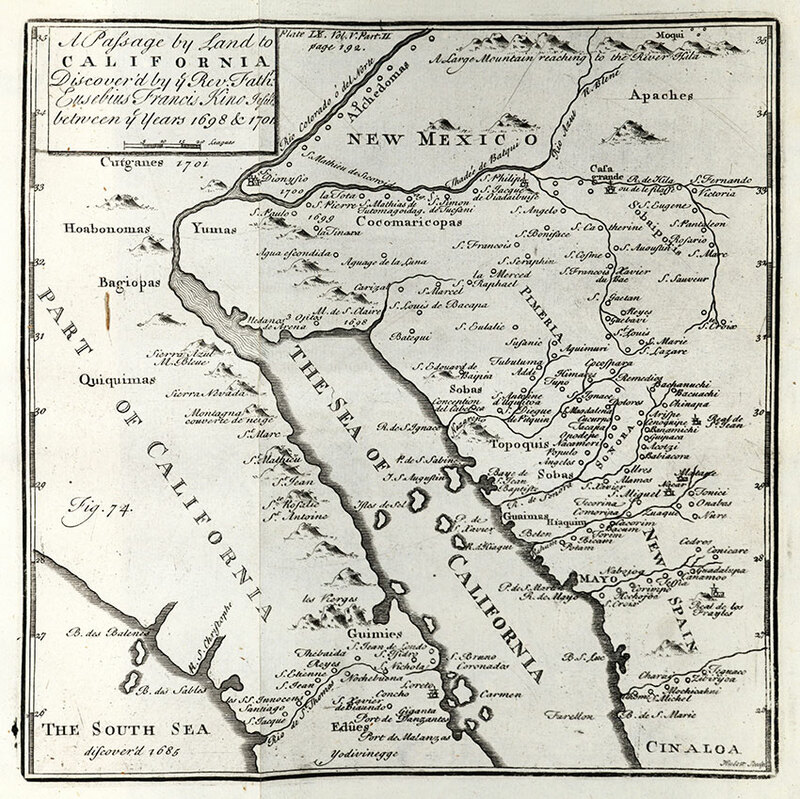 In 1702, the Sicilian Jesuit priest and explorer Eusebio Kino declared that California was a peninsula, not an island as was believed at the time. Nicknamed the “Padre on Horseback,” Kino established twenty missions in present-day Arizona, and Sonora, Mexico. He is also credited with establishing the region’s first vineyard at the San Bruno Mission in 1683. The Los Angeles Italian experience contrasts from that of Italian immigrants elsewhere in the country and reveals the complexity of the Italian American diaspora. 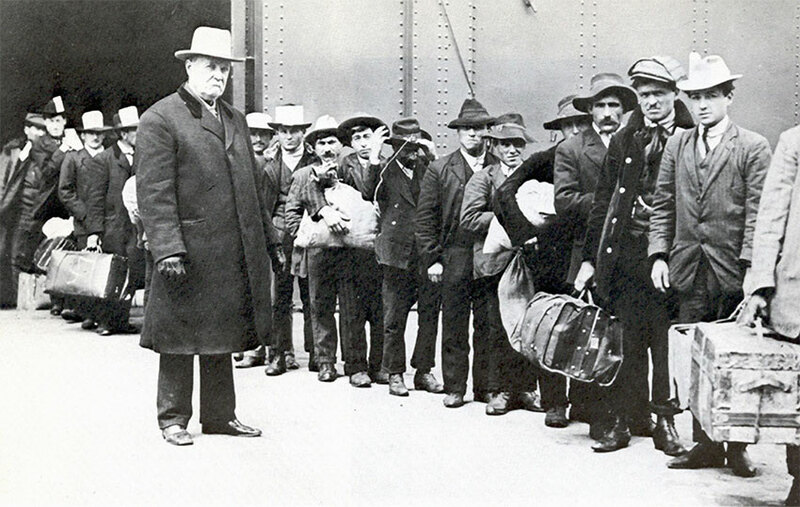 Given the success that Italian Americans have achieved in the United States, it is easy to forget that they, like other minority groups, faced considerable prejudice and hostility in their struggle to achieve the American Dream. In the American South, Italians were a common target of lynchings and racially-motivated violence. In the early 20th century, eugenicists described Italians as genetically inferior, while political cartoons of the era depicted Italians as threats to American security and racial purity. In 1781, Spain established El Pueblo de la Reina de Los Angeles, the town that would become the great metropolis of Los Angeles. 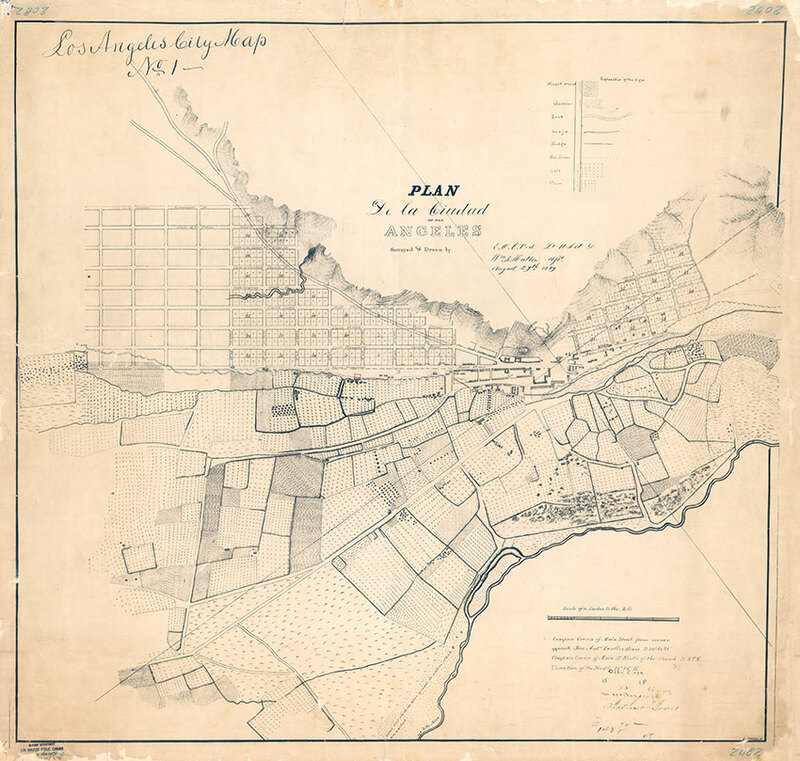 The site of the original pueblo, or civilian settlement, was located near the Los Angeles Plaza, what is now El Pueblo de Los Angeles Historical Monument. It was chosen for its proximity to the Los Angeles River, a vital source of water, and the Native American village of Yangna. Permanent Italian settlement in the region began after Mexico gained its independence from Spain in 1821. Los Angeles’ earliest Italian enclave was located at the Plaza, where Italians lived among the Mexican, French, Anglo, and later, Chinese communities. Arriving in 1827, sailor Giovanni Leandri was the city’s first Italian settler. 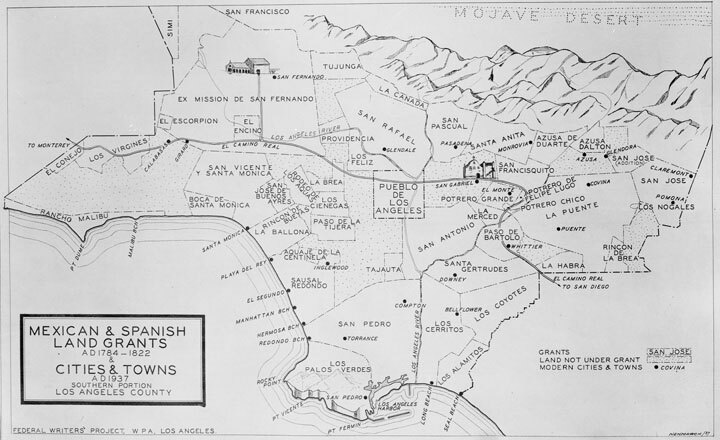 Because Spanish remained the lingua franca of Los Angeles for much of the 19th century, Italian settlers often learned Spanish before they learned English, and some, including Leandri, assumed Spanish names. 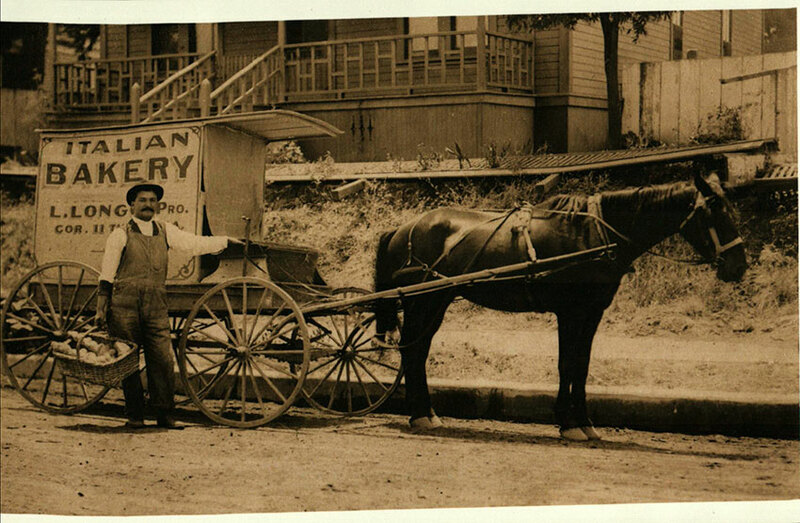 Leandri established a successful store at the Plaza and purchased a portion of Rancho San Pedro, as well as the 48,000-acre Rancho Los Coyotes in present-day Buena Park, and the neighboring Rancho Cañada de la Habra. The city’s hospitable social climate provided Italian immigrants with considerable opportunities for upward mobility, and by 1850, Los Angeles’ Italian community included prominent businesspeople, civic and religious leaders. 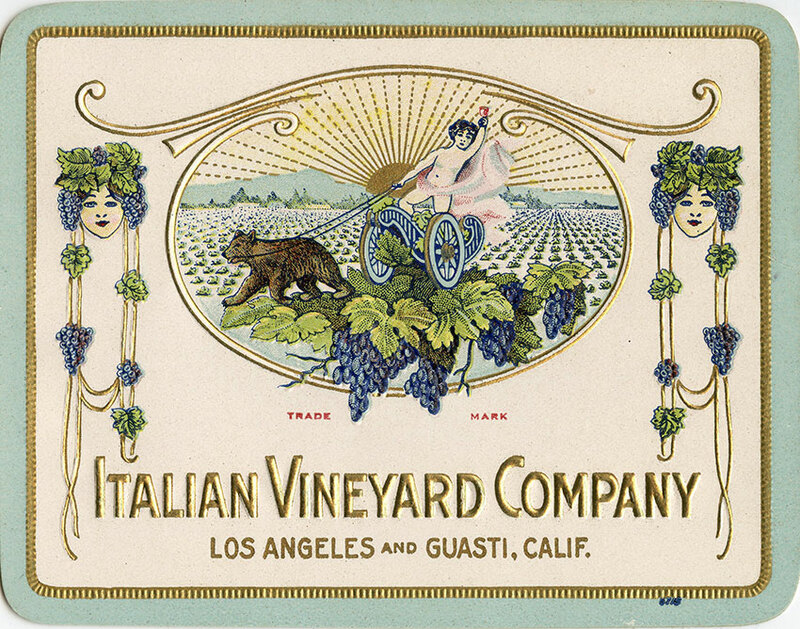 Other Italian immigrants, encouraged by Southern California’s Mediterranean climate, pursued agriculture and viticulture, which formed the backbone for the state’s early economy. 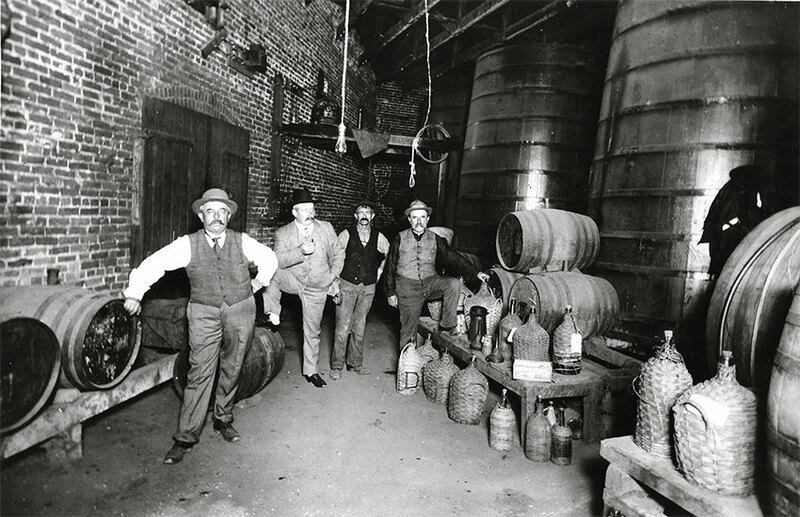 The numerous wineries in the Plaza area, many of which were Italian-owned, were responsible for Olvera Street to originally be named Wine Street, and by 1869, Los Angeles led the state in wine production. This early period contains many success stories. Secondo Guasti, who emigrated from Asti, Italy, worked as a cook before establishing the Italian Vineyard Company in 1901. Two decades later, his 5,000 contiguous acres in present-day Rancho Cucamonga constituted the world’s largest vineyard and Guasti became one of the 20th century’s most prominent men. Antonio Pelanconi, who left his family farm in Italy at age 18, also became a prominent vintner. Located on Olvera Street, the Pelanconi House is the city’s oldest extant brick building and a popular Mexican restaurant, while the family’s former ranch comprises much of the city of Glendale, California. Los Angeles’s Italian enclaves, like other Little Italies, functioned as extensions of the mother country and eased the immigrant’s transition to the new land. 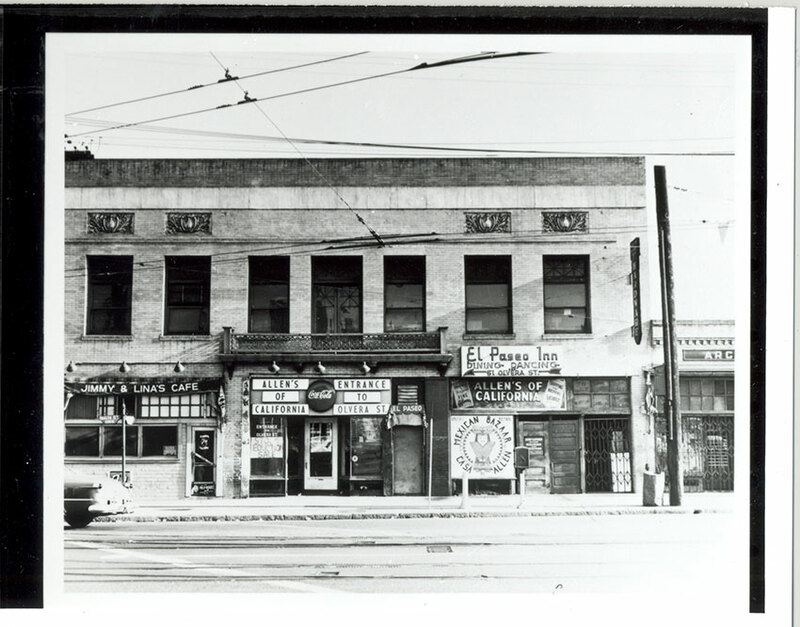 By the late 1800s, the Plaza area, “Sonoratown,” (present-day Chinatown), and the Sixth and Seventh Wards (southeast of downtown Los Angeles), comprised the heart of Los Angeles’ Little Italy. Meanwhile, scores of Genovese, Sicilian, and Ischitani fisherman lived in San Pedro, the city’s historic waterfront, where more than 40,000 Italian Americans reside today. In the years that followed, the most populous of the city’s Italian enclaves could be found northeast of downtown in Lincoln Heights and Dogtown, (once home to Frank Capra) where he melodic sound of Italian could be heard amidst bustling Italian grocery stores, bakeries, banks, pharmacies and cafes. By 1930, the city’s Italian population had reached 12,700, and the city boasted several Italian language newspapers, and dozens of cultural and benevolent organizations. 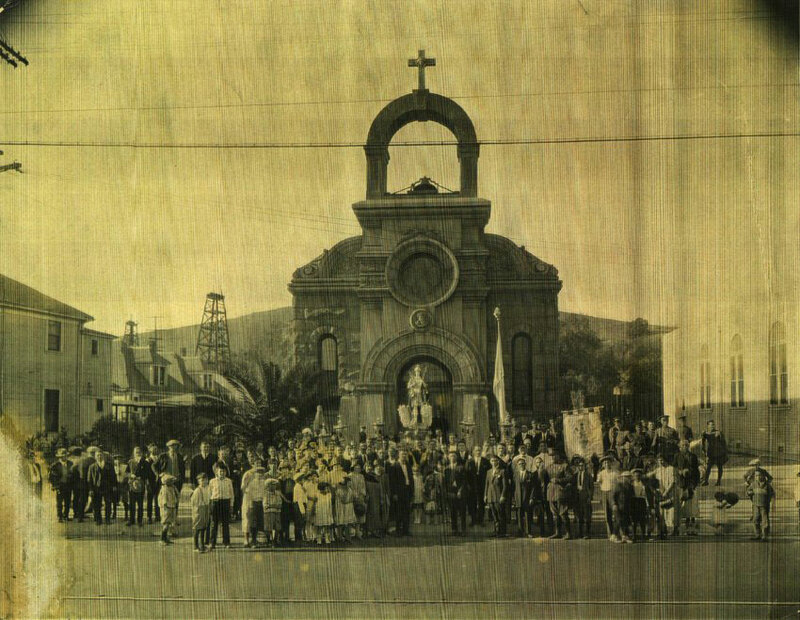 The community’s ethnic churches, including St. Peter’s Italian Church and Mary Star of the Sea, tended to the spiritual needs of Italo Angelenos while preserving faith-based traditions. In 1908, a community center was constructed in the heart of the Italian enclave with the words “Italian Hall” emblazoned in gold lettering on its yellow brick façade. Listed today on the National Register of Historic Places, the Italian Hall served as the community’s focal point, hosting weddings, fundraisers, concerts, socio-cultural events, such as the vendemmia, or fall wine harvest. The Italian Hall welcomed dignitaries, celebrities, and historical figures, including activist Emma Goldman, the Flores-Magon brothers, theorists of the Mexican Revolution, and Italian flying ace Francesco de Pinedo. 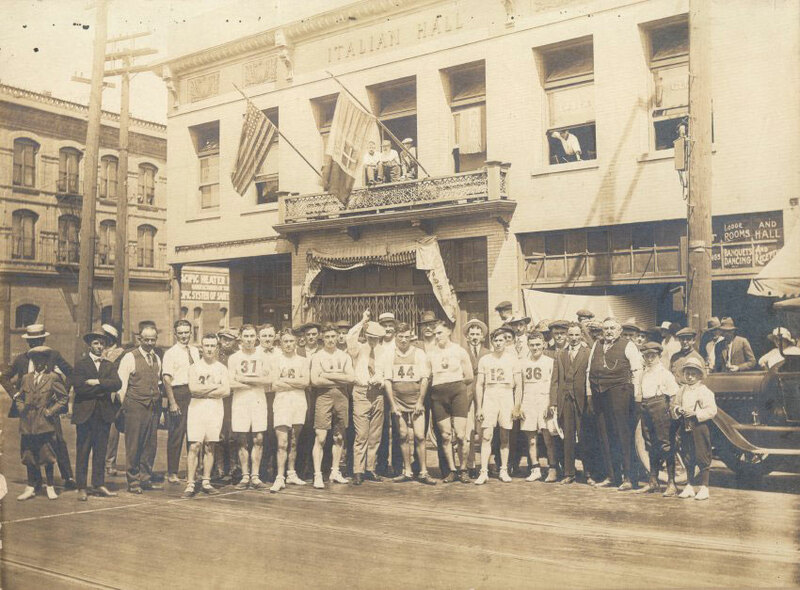 The Italian Hall also played an integral role in the city’s free speech and labor movements and survived pivotal events in Italian American history, including the registration, relocation and arrests of so-called Italian “enemy aliens” during World War II. 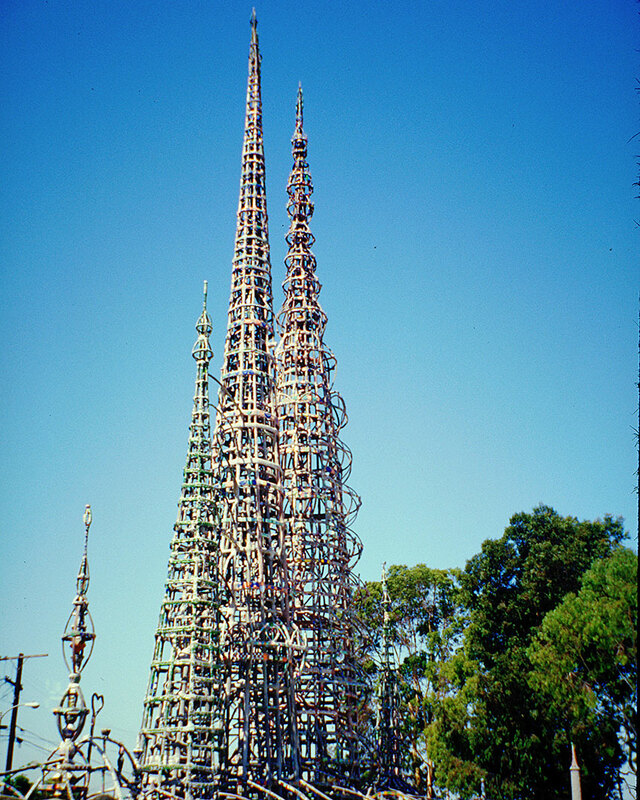 It witnessed the creation of Simon Rodia’s artistic masterpiece, the Watts Towers, the publishing of John Fante’s novels, and the creation of Gaetano Uddo’s canned food Uddo-Taormina Company, which became Progresso. While remaining connected to their ethnic identity during the post-War years, neither nostalgia nor tradition bound Italians to the neighborhoods they first settled. In the 1930s, the use of the Italian Hall declined as other community gathering sites were established. The State of California purchased the Italian Hall in 1953, the Italian community’s use of the building ceased, and the Italian Hall fell into disrepair. Little by little, the city’s Italian enclaves became masked by subsequent ethnic settlements or were erased entirely as a result of redevelopment. In the late 1980s, a commercial development threatened to erase the Italian Hall’s historic significance. The Italian community then created a group, later known as the Historic Italian Hall Foundation, to restore the Italian Hall and create a museum. From pioneers to entrepreneurs, educators to civil rights leaders, artists, designers, restaurateurs and scientists, Italian Americans are an integral part of the Southern California’s complex social fabric. Should history prove as inextricably connected to memory as it is to place, the Italian American Museum of Los Angeles offers to assist Italian Americans in their journey of self-discovery, and provide all visitors with a more meaningful understanding of the multi-layered history of Southern California and the nation. 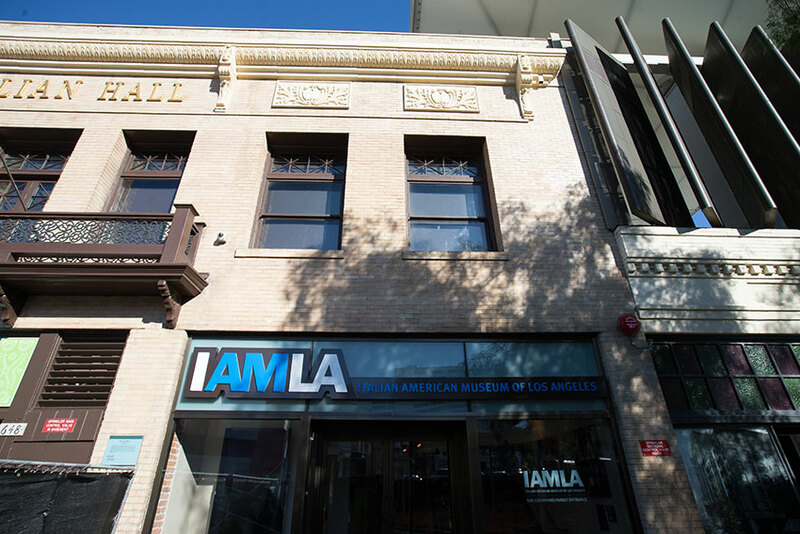 Click here to learn more about the Italian American Museum of Los Angeles, and its world class exhibits. You've never heard of him, but it appears he was the first immigrant to bring pizza to New York.